The latest version of a draft resolution on addressing the global rise of cancer negotiated last week at the World Health Organization shows that remaining points are intellectual property-related, but there seems to be agreement on referencing trade flexibilities in the text, even from the United States, and a common goal of lowering prices of treatment. WHO members tried to reach common language during the Executive Board in January but time ran out and discussions are expected to continue until the annual World Health Assembly in May. An initial draft resolution [pdf] was considered during the WHO Executive Board, which took place from 23-31 January. The draft aimed at providing recommendations for countries to develop national cancer prevention and control action plans, and some potential actions to be taken by the WHO secretariat. A drafting group was organised to try to propose a text agreeable to all and met several times during the Executive Board (IPW, WHO, 31 January 2017). At the close of the Executive Board, Canada, which chaired the drafting group, said most of the language of the draft resolution was agreed upon and highlighted in green in an undisclosed text. The text, obtained by Intellectual Property Watch and available here [pdf], is what appears to be the latest “white paper,” (non-official document) of the draft resolution, as showed on the screen in the drafting group venue at the beginning of the afternoon of 31 January. This was the latest text available and is expected to be the basis for discussions going forward. Most of the text is highlighted in green, while three paragraphs are highlighted in yellow, and some are not coloured at all. According to sources, the yellow coloured text reflects that the text has been discussed but not concluded, and the text bearing no colours has not been discussed yet. 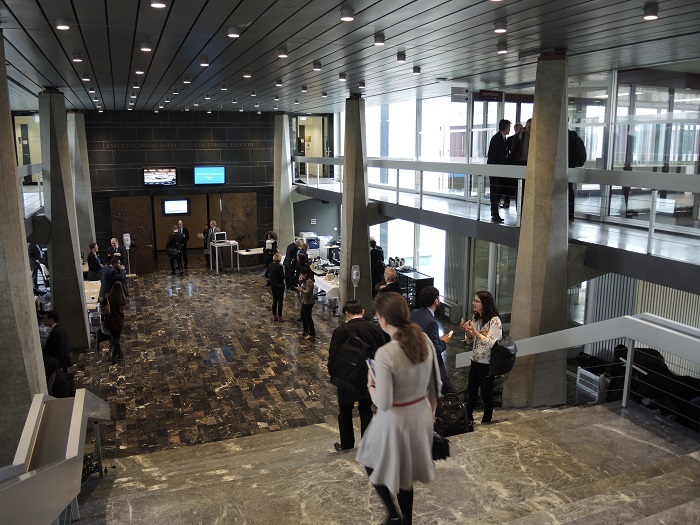 WHO members are expected to continue to meet informally between the end of the Executive Board and the next World Health Assembly in May, with the hope of agreeing on the rest of the text so the resolution can be adopted in May. The 31 January version of the draft resolution is substantially longer than the original document, as countries added several paragraphs to reflect additional actions to be taken to better address the cancer issue. For example, in the advice to government, a paragraph was added to suggest collaboration by strengthening regional and subregional partnerships and networks to create centres of excellence for the management of certain cancers. Another addition is the suggestion to promote and facilitate psychosocial counselling and after-care for cancer patients and their families. Topics involving intellectual property issues have typically led to lengthy and difficult discussions at the WHO. Some developed countries are supportive of maintaining a high degree of enforcement of IP rights to promote innovation, and say that IP is not the only hurdle in the issue of access of medicines. Some others, mainly developing countries, say that IP rights maintain monopolies and lead to unaffordable prices. The document indicates that Brazil suggested that access should be achieved through public health-sensitive intellectual property policies, while the European Union proposed appropriate financing arrangements, more effective supply systems, and measures to address high prices. Text with no colour includes variations of the Colombia proposal on TRIPS by the United States, and the chair of the drafting group (Canada). Also not discussed is a proposal to conduct a feasibility study of creating a “multi-country push and pull fund for cancer research and development, as an alternative to incentives-based intellectual property rights and/or regulatory monopolies and to progressively delink cancer R&D costs from product prices,” suggested by India. A paragraph referring to vaccination campaigns is also highlighted in yellow. Specific mention of human papilloma virus and hepatitis B virus in the original text have been removed. "Confidential Draft Of WHO Cancer Resolution Shows Remaining Issues IP-Related" by Intellectual Property Watch is licensed under a Creative Commons Attribution-NonCommercial-ShareAlike 4.0 International License.